The iCAM7 series enables rapid iris acquisition with greater image collection for superior enrollment and recognition. All models feature the robust Iris ID countermeasure package experts agree sets the standard in the industry. 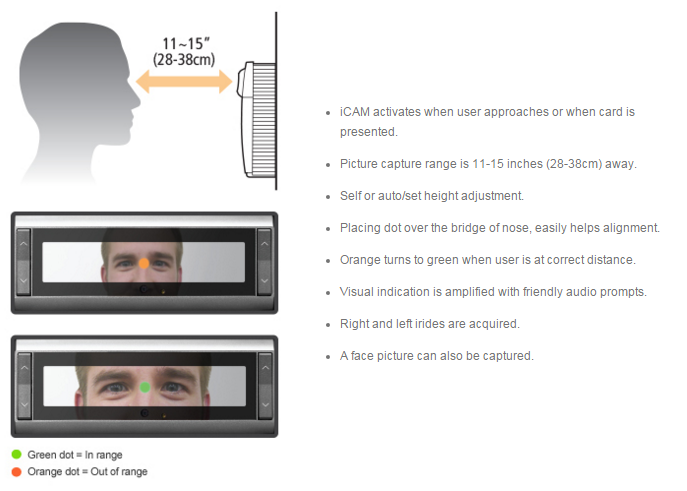 The iCAM7 series has features no other iris system offers. iCAM7000, 7100 & 7100S enables rapid iris acquisition with greater image collection for superior enrollment and recognition. A holographic targeting aid is just one part of an intuitive and interactive interface that includes voice and visual feedback for increased speed. All models feature the robust Iris ID countermeasure package experts agree sets the standard in the industry. 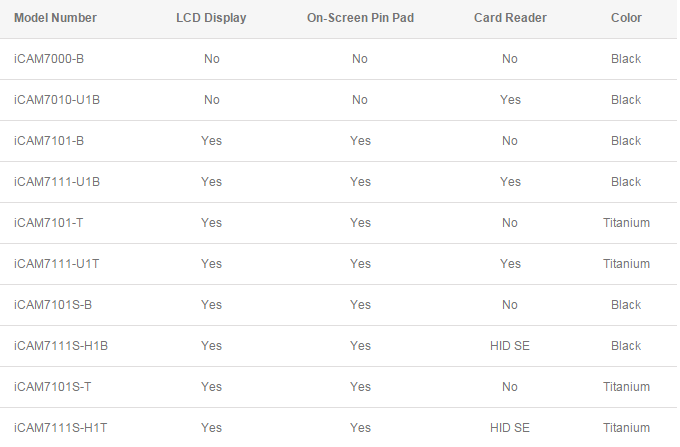 The iCAM7 series has features no other iris system offers and enables rapid iris acquisition with greater image collection for superior enrollment and recognition. A holographic targeting aid is just one part of an intuitive and interactive interface that includes voice and visual feedback for increased speed. All models feature the robust Iris ID countermeasure package experts agree sets the standard in the industry.